Offer warmth and protection throughout the seasons. 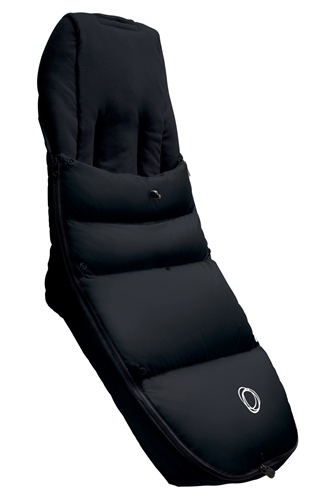 Compatible with all bugaboo pushchairs, the bugaboo high performance footmuff ensures you’re ready for every season and conditions it brings. Two detachable covers - one polyester padded for spring to fall and another down-filled for winter - make sure you’re ready for anything nature brings. Both covers can be opened with the 2x2 way waterproof zipper for ventilation and easy cleaning while durable Teflon® coating make it rain, snow, wind and stain repellent.